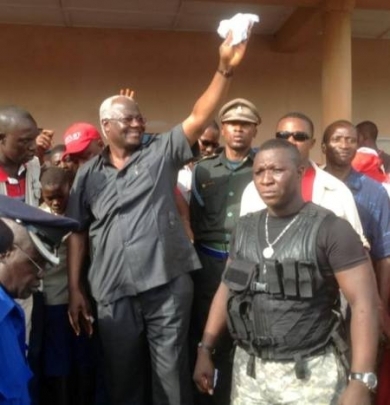 Since the APC government led by President Koroma came to power in September 2007, the Ministry of Energy and Water Resources has seen three or four Ministers and deputies come and go. All of the appointees, with the exception of Minister Haja Afsatu Kabba, who was transferred to another ministry, were sacked because of poor performance – so the government wants us to believe. Energy provision the world over, is not an easy task. I personally do not think some of the individuals appointed to these positions either as Ministers or Managers were competent enough. People like Professor Davidson and Mr. Sullay Mannah (sacked in early 2008) for example, have proven records in the energy sector around the world and within corporate circles. So where does the problem lies? The problem is with the policies of successive governments and the people of Sierra Leone collectively, especially those in position of trust. Energy provision is a very expensive business. Therefore, to ensure a constant supply of energy, all the consumers of energy – whether they are in the public or the private sectors, have to bear the costs of the energy they use. In Sierra Leone, this is hardly the case. 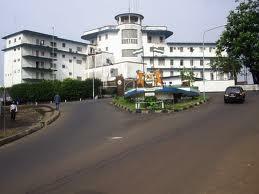 For example, all government hospitals in Freetown consume electricity for Free. All military and police premises and residents use electricity for free. All government buildings – including the great Youyi building, use energy for free. The same goes for government quarters occupied by officials. If we keep allowing individuals and institutions to evade paying for the energy they consume, then who is going to bear the cost of generating and transmitting the little amount of energy (in this case 30 megawatts) we have? And how do we expect to increase the current output generated? For some of us who have had the opportunity of travelling out of Sierra Leone, especially to the west, we know that the energy sectors are mostly privately owned and managed. In most of these countries, the only involvement of government is to liberalise and regulate the market, lay down strong laws to ensure that the service providers provide their services uninterrupted and within the prescribed rules and regulations, as well as ensure consumers pay their bills without delay. Also, if a provider is faced with serious financial problems that will affect the service, only then will the government step in to ensure another provider takes over, so that the electricity supply continues uninterrupted. Therefore, in places like England; Buckingham Palace pays their energy bills, Westminster Abbey pays its energy bills, the BBC pays their energy bills, the Military and Scotland Yard pay their energy bills, No.10 Downing Street pays its energy bills. Why should this be an exception in poor Sierra Leone? If one is bold enough to ask the Secretary to President Koroma, how much has State Lodge and/or State House paid for the electricity it consumed in the last six months, I am afraid you will risk your own arrest for demeaning the Office of the President. It is shocking that the presidency and most ministries and departments – including the police and hospitals, are being allowed to get away without paying their energy bills. Until these institutions and officials are held to account and responsible, increased donor aid or borrowing will not get us out of this darkness. So let us get our priorities right.